Northrup Grumman...Another one bites the dust! 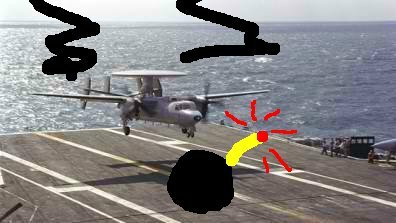 A Northrop Grumman E-2C Hawkeye 2000 surveillance and reconnaisance plane lands on a carrier. In a story recently released by Fox (http://www.foxnews.com/scitech/2011/05/31/northrop-grumman-hit-cyber-attack-source-says/) we see that Northrup Grumman was also compromised via remote access. We can chalk this up to yet another compromise as a result of the intrusion at RSA where the secret sauce was stolen. I wonder if any of these companies are going to go after EMC/RSA for damages? The article is fairly vague (surprise), but it looks as though the "bad guys" were able to get in. That is unless somebody just accidentally tripped over the cable for the remote access network.